MODI is developing a swappable lithium ion battery pack for e-rikshaws that will be cost effective and more efficient. Sun Navigation is creating a mobile app “vehitra” for commuters to save their time while waiting for their transports. This app will be a tracking device that helps to keep track of the public transport and better time management. High Five Innovation labs is building a cost effective, efficient and accurate solution to convert existing energy meters into prepaid meters. BRAHMASTRA is an online platform where vendors will connect to the local producer in nearby locations. It is for the vendors who struggle to find local produce, regular supply during off season, organic products. This platform will be a bridge between the farmer & a vendor/consumer. Atuvik stove will be a cost-effective product to provide clean and healthier environment to cook food for the rural population of Himachal Pradesh, who cooks food in traditional wooden stoves. Arise Motors is developing an Electric Auto Rickshaw that would help to cut down the operational costs for auto rickshaw owners who spends a lot on fuel and maintenance. Ecekal is creating an apple sorting machine for apples growers who have to clean and sort apples manually. Ecekal is providing ultra-low cost, automatic and portable machine to sort and clean apples. Innovation quest is creating ARaT - an augmented reality feature animated t shirt where the children will get physically active and where both the wearer and person focusing camera can play/interact over gaming and learning experience also, while using augmented reality t-shirt only the person focusing camera can see the augmented version. It is for the children of age group of 4-14 years, who find it difficult to get active while playing mobile games. Arnetta is a technology firm, armed with a vision to positively impact the data flow in the worldwide agricultural ecosystem. Arnetta’s digital tools automate the business processes of seed enterprises. Arnetta is building a disruptive, digital crop disease diagnostics solution enabling farmers and the allied agricultural ecosystem to optimise farmer efficiency and farm productivity. BlockVidhya is providing a platform to issue digital certificates on Blockchain which are cryptographically signed and immutable. Platform will be used by companies, universities to cross-verify the document credentials of candidates. By doing so, companies and universities will save money and time during background verification. Candidates will request for the certificate generation to certificate authority. Certificate authority will generate the certificate which will be verified by verifier. Once it got verified, it will generate unique hash code and barcode. Those hash-codes will be shared among companies to verify the credentials. 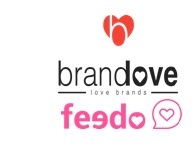 1)Feedo - A customer feedback app which uses Net Promoter Score(NPS) to measure customer satisfaction and loyalty at physical brand stores. 2) Brandove - An invite-only, social mobile app for brand advocates that recognises and rewards them for brand advocacy. It uses gamification and machine learning to build engagement and give recommendations on the platform. 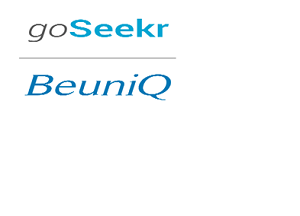 1) goSeekr - goSeekr is a consumer platform for online workshops & seminars, delivered live ∫eractive, by experts. Bringing high level of interactivity into webinars, goSeekr gives presenters ability to monetize their knowledge and participants to gain knowledge from anywhere in the world. 2)BeuniQ - BeuniQ is an audio-visual storytelling platform for professionals. Using BeuniQ, you can share your thoughts and ideas by creating very engaging audio-visual stories using voice (with contextual visualization, images and videos) very easily and post it on any platform. Visual storytelling is the future of the internet and we want to be a platform for LinkedIn, similar to what Instagram was to Facebook. Health Positive provides an Affordable, 24*7, Real Time Medical Safety Net that can respond in a medical emergency and proactively suggest in a non emergency situation thereby ensuring the best possible treatment in a medical emergency and best possible health during normal times. This is enabled via a medical grade SOS wearable, that can transmit the GPS location along with vital signs as a SOS alert, at the press of a button. The emergency response system will ensure timely information, to the right people, to maximize chances of survival in a medical emergency. It will include Timely Information Medical App and an up to date Universal Medical Database. TSL is enabling solar vendors through image technology for the process of site surveys and capacity analysis for faster, better and less costly solar installation. The Solar Labs believe that renewables is the need of the hour and that with each home installing solar they are contributing to a better future for the society and also helping the homeowners get additional income and make savings. Using advanced computer vision techniques to analyze your house, and design for you the ideal system possible, all automatically. TSL is also developing tools for this which can be eventually used by solar installation companies. Imito is developing customizable flexible advertisement displays. These low power consumption displays are powered by solar photovoltaics. The illumination in these static displays can be animated as per the client’s requirements. Imito aims to be a B2B company to customize, manufacture and supply the printed EL Lumin panels to advertising agencies and event management companies. uG Fresh produces microgreens of different plant varieties with nutrient contents which can be used as ‘ready to eat’ salads or ingredients for various food preparations. Micro Greens are edible immature green seedlings generally harvested within 1-3 weeks after seed germination.Microgreens varieties include radish, lettuce, beet, mustard, spinach, cabbage, khol rabi, amaranth, pak choi etc. uG Fresh aims to provide packaged microgreens of different plant varieties with nutrient information in different package sizes as well as different combinations of microgreens. Mainly locally available seeds will be optimized. MedSamaan is a revolutionary Online Marketplace exclusively for Medical Devices. The Platform addresses the pain points of all the concerned stakeholders - patients, doctors, hospitals and manufacturers. By leveraging technology, they intend to provide accessibility and freedom of choice at an affordable price. MedSamaan integrates the advantages of both online and offline sales, and provides a unique experience to users in terms of Variety, Choice, Lower Costs, Assured Quality and Timely Delivery. Antrepriz is re-imagining and re-engineering the corporate travel ecosystem by providing a 2 part (APP + SaaS) solution to manage all ‘Travel & Expense’ category expenditures done by employees. Byte is building a business credit wallet that would enable employees to make policy controlled discretionary spends in real-time, making the entire expense reporting process redundant. With Byte, companies can save on fraud bills, paper trail cost, travel agency cost, credit card cost and overpriced SaaS solutions, while becoming more efficient. Byte uses AI, Big data and Machine learning solutions to provide employees a completely enhanced, personalized & consumer-grade business travel experience. 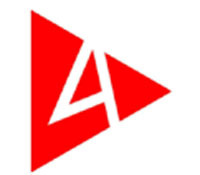 4Play’s core product is extreme and adventure sport content for online media. Distributed, leveraging upon the capabilities of an aggregated network dispersed throughout online and offline channels. 4Play is aiming to organise, structure and develop a micro content network throughout UGC platforms and social media on digital platforms. Heco is building an electronic and software based warning system consisting of a set of warning lights and smart sensor based control systems, installed on both sides of blind curve. Further, the same shall have IOT based maintenance and monitoring to detect and correct fault from remote location. A sensor based electronic warning system can help prevent accidents by warning driver of one side about incoming vehicle from other side. In current skill ecosystem a platform for e learning and assessment is not available, by which trainers and candidates can build their capacity, Govt. institutions can manage quality and ensure faster implementation of skill India mission. We are building a Mooc training platform for e training, assessment and certification of candidates and vocational trainers who will be teaching at PIAs under skill India. We will enhance Vocational Skill ecosystem in India by building MooC e-Learning, assessment tools and video repository training Platform that will help trainers and candidates to get trained online, assess their skills and become certified skill development professionals. iITos is building a unique state-of-the-art low-cost landslide monitoring and warning system that can be installed in landslide-prone hilly areas. This “patented IoT-based system” can be used to warn vehicular traffic at the landslide site via traffic signals as well as warn people living in the vicinity of the site via SMSes. The data generated by the system can be used by policy makers and researchers to monitor landslide activity at the deployment location. The system also comprises a weather station, which could generate weather-related advisories for farmers.